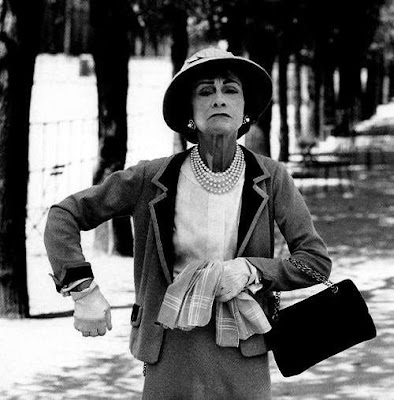 Coco’s revolutionary designs are known the world over; she reinvented female attire for comfort and practicality. 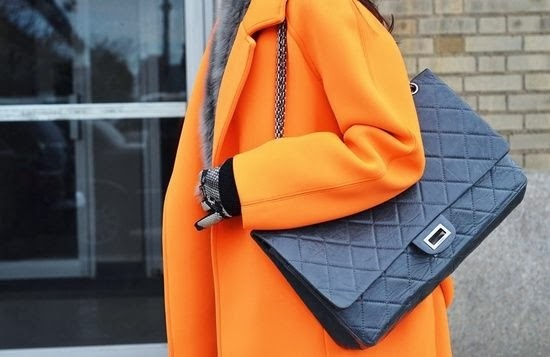 It was in February 1955 however, that a design for a practical bag was born. This bag named after its birthday was the 2.55. Today this same design still holds no rival, it is the epitome of luxury, but also, and perhaps more importantly, style. In 1955 the bag didn’t actually look like what most of you know it today. The current popular design was actually an updated version by Karl Lagerfeld in the 80’s. Coco’s 2.55 is the design which is now termed the “Reissue”. Both bags have the classic shape but the clasp and straps differ. Coco’s 2.55 and the Reissue have a full chain strap and a rectangular twist lock. The chain was inspired by her orphanage guards similar to one from which their keys would hang. The twist lock simply practical and secure, now often termed the “mademoiselle” lock, after Coco who never married. In 2005, the 50th anniversary of the 2.55, Lagerfeld reissued Coco’s 2.55, so today both styles can be purchased in various colours and materials. Chanel Reissue should only be used for the bags that were made for the celebration in 2005. However, it has become convenient to call all 2.55s that have original lock and chain 2.55 Reissues and all 2.55s that have the interlocking CCs Classic Flaps. The very first 2.55’s were made of jersey and leather with the quilting hand stitched. Apparently the back stitching was done in a “secret stitch” to ensure durability. The chain and lock were gold colored metal and the interior the famous blood red grosgrain. Coco wanted a bag that kept her hands free. The original mademoiselle lock does not have “Chanel” stamped below, this was an introduction on the reissue. The clasp is separated into three segments and sometimes has a smaller central divide, which tends to be equally segmented on the reissue. The general design of the Chanel 2.55 has remained consistent. Starting with the quilted “diamond” design, which was influenced by several sources: by jockeys’ riding coats, by stained-glass windows of the abbey at Aubazine, as well as by the cushions in the Chanel’s Paris apartment. First is the front flap which comes over the bag and is slightly rounded at the corners. The chain handle is one continuous loop which threads through two holes in the top of the bag. This allows the chain to be worn at two lengths, depending on whether you pull one side out or both for a double strap. On the back is one half moon shaped pocket, in which Coco stashed her extra money. The bag also has two little dimples on either side just under the strap holes. The front and the back have raised quilting whilst the bottom and sides will be flat. Inside the bag there is a small zippered pocket on the reverse of the flap, this tiny pocket is where Coco kept her love letters. This whole section should mirror the color of the bag, as should the zipper pull which should be a basic tab of the same material. Now you see the ”second” or “double” flap, a second flap which fastens with a press stud. This will open to reveal the dark red signature inner, the color of the children’s uniforms at Coco’s orphanage. Here you will find stitched and slightly raised the large double CC logo. The main compartment has a sectioned compartment on the back wall divided into two pockets and a central ‘lipstick’ pouch. There is also a pocket on the front of the bag underneath where the clasp post is. 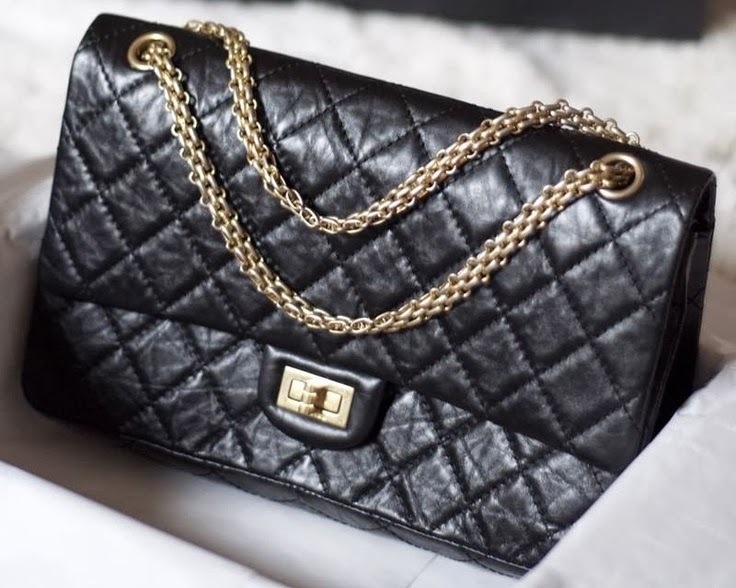 The Chanel 2.55 Reissues come in different sizes, colors and materials so there is a great choice these days, however many colors and special fabrics are seasonal and limited collections. You can find sizes and latest prices for Chanel 2.55 Reissue here. 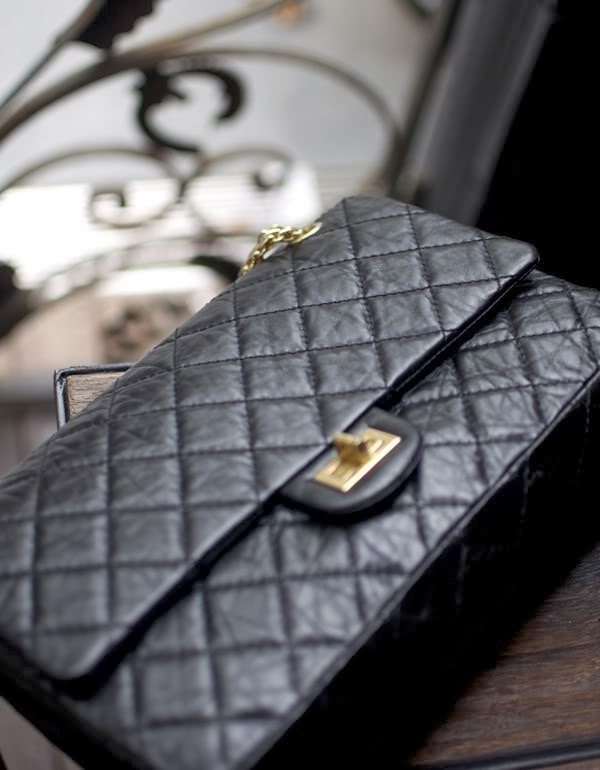 The main fabric for Chanel 2.55 Reissues is leather in soft calfskin and caviar which has a textured effect. The calfskin is very delicate, whilst the caviar more hard wearing. The bags have also been produced in suede, fur, exotic skins, vinyl and a selection of fabrics such as satin, jersey and tweed. The hardware is also available in gold or silver, or with the reissue in a pewter or black. 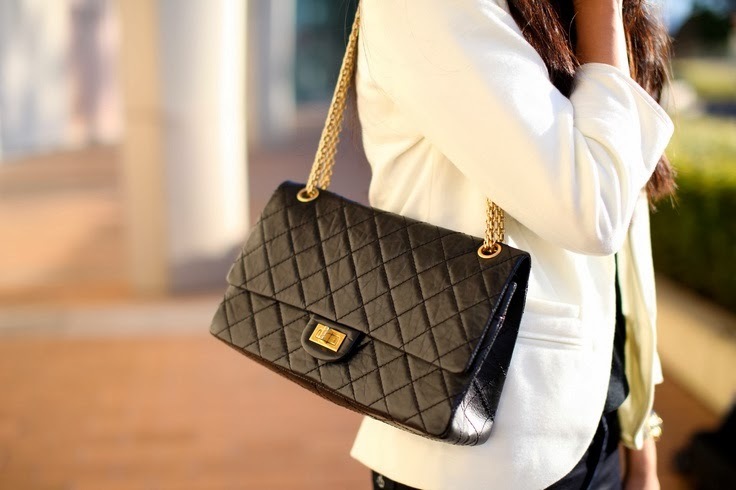 great post about the chanel bags! wish I could afford them...oh well one day!!! just followed you! 2.55 is my most favorite bag ever!! I LOVE IT!! I am really crazy about Chanel! It is like my dreambag and I'm saving money to but one hopefully in the next year.. This blog is amazing i'm going to spend hours reading all this amazing stuff!! !